Easy! Just take Taiga® Rain Shells along! 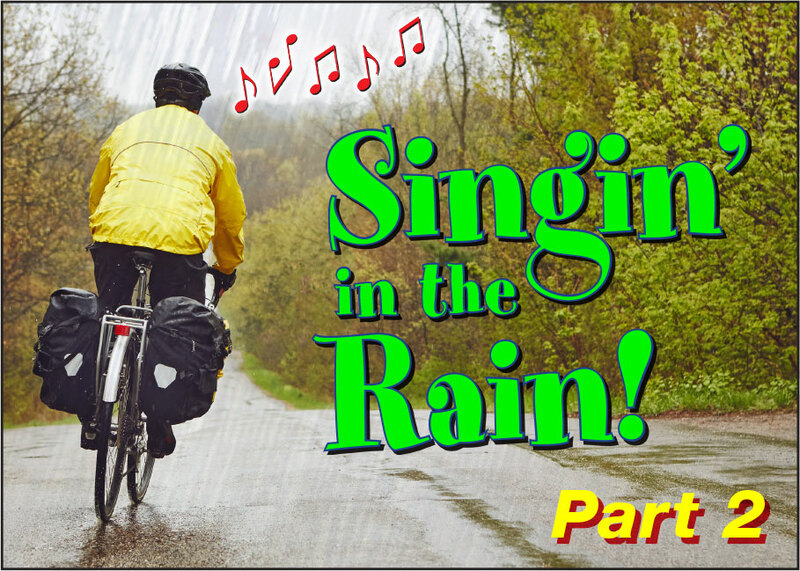 Last time we showed you how to stay dry from head to hips with Taiga® Cycle Jackets and Helmet Covers. This time we'll 'cover' hips to toes – so you can cheerfully tackle any nasty downpour lurking out there. All Taiga® Cycle Pants come in 3-4 different leg lengths per size! only ONE length in each waist size. So, if your legs don't happen to be "standard length", come to us. We'll probably have the perfect size & length for you. 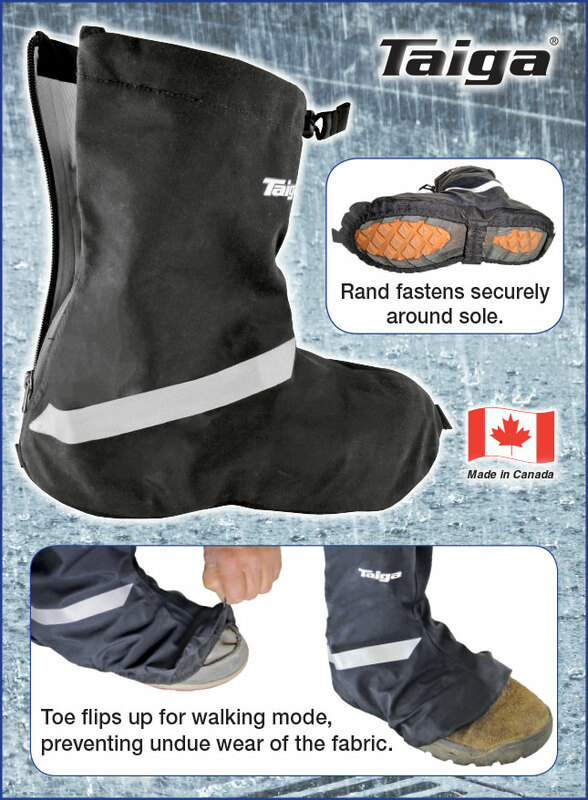 3-way, hip-length side zippers with unique dual rain flaps. from rain & road splash. Covers can fold away as shown. identical to the ‘Velo Pants’. EASY to put on & remove! fits securely to the sole. See all Taiga® Cycle Garments. Found this newsletter interesting? Share it with your friends!